Swamp Apes Joe 'Mojo' Detre and Tom Aycock dig a hole on the side of a levee looking for Burmese python nests. Removing pythons helps the ecology of the Everglades - and helps veterans transition from the battlefield to civilian life. 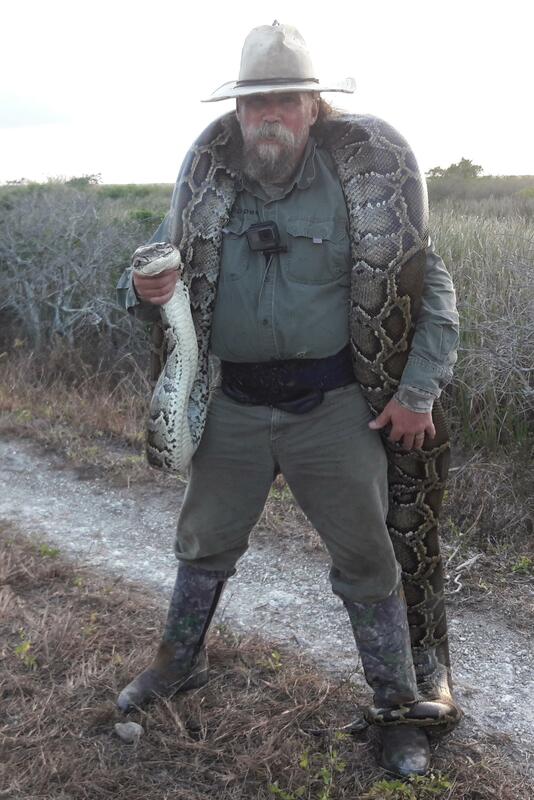 Maria Bakkalapulo reports on military veterans who hunt pythons in Florida. Airboat rides in the Florida's Everglades are a tourist favorite. The boats skim over water and grass, passengers' cameras snapping the 'glades most famous predator, the alligator. But now, another apex reptilian is taking the spotlight - the unwelcome, invasive, Burmese python. It's not a native species, and the giant snakes are devastating the native wildlife in an ecologically unique area. Local officials are trying everything to curb the numbers of pythons, even flying in specialist snake-hunting tribesmen from India, armed with machetes. One approach employs local hunters, and the group setting the pace, with nearly 500 pythons bagged, is "The Swamp Apes," made up mostly of military veterans. 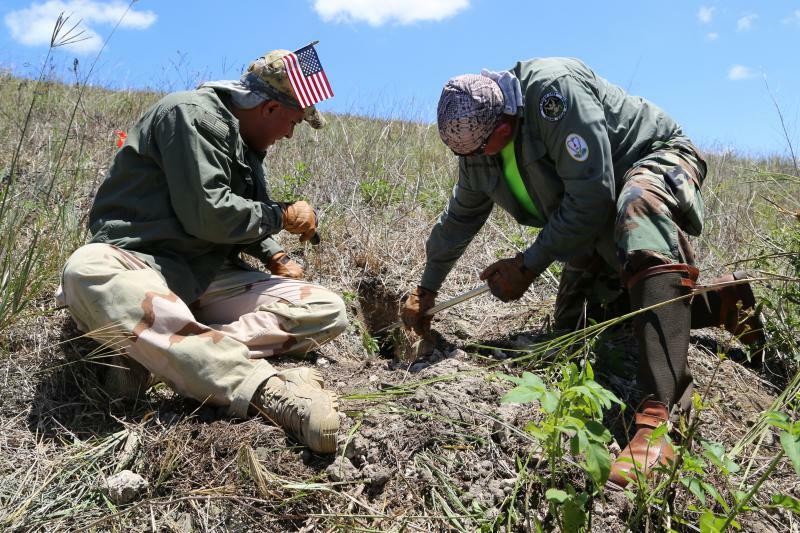 They help eradicate invasive animals and plants in the Everglades, while simultaneously providing therapy for combat-induced Post Traumatic Stress Disorder. Thomas Rahill is a python hunter and founder of the Swamp Apes. In his olive fatigues and wide brimmed hat, Rahill, although not himself a veteran, has the bearing of an army unit commander. He says his mission is to serve the country's veterans through serving the wilderness. "Python-ing is nothing like you'd expect it to be, yet it is everything you'd hope for," Rahill says with great enthusiasm. Swamp Apes founder Thomas Rahill says the program helps veterans put their military skills to use and transition more easily into civilian society. His old black Chevy, covered in Everglades dirt, just crossed 300,000 miles - most of them crisscrossing the huge Everglades landscape. Using spotlights mounted on their vehicle roofs, the Swamp Apes look for Burmese pythons on the levees in the ink-black night or 'bushwhack' though the grass in the heat of the day. "When you come across a really big python, I don't care where you are, it's extreme, it's an amazing animal, a very dangerous animal, you have to know what you are doing," Rahill said. "Really exciting stuff and very rewarding to get a python out of the Everglades." For hours upon hours, they drive along long straight levees, looking for something slithering past, something wound up on a tree branch, or the stark shadow in the headlights of a python warming itself on the roadway after dusk. The team often spends 12-hour days looking for pythons, persevering until their skills and luck pay off. Pythons have a history as popular pets in Florida. The troublesome snake population originated from two sources: irresponsible pet owners letting their pythons lose in the Everglades, and the destruction of a breeding facility during Hurricane Andrew in 1992. By some estimates, there may be as many as 100,000 in the Everglades. The huge reptiles have bred unhindered and feasted on the native wildlife, including raccoons, marsh rabbits, and birds. According to one study, mammal counts during nighttime road surveys in Everglades National Park decreased dramatically between 2003 and 2011, including a 99 percent decrease for raccoons and opossum and 88 percent for bobcat. 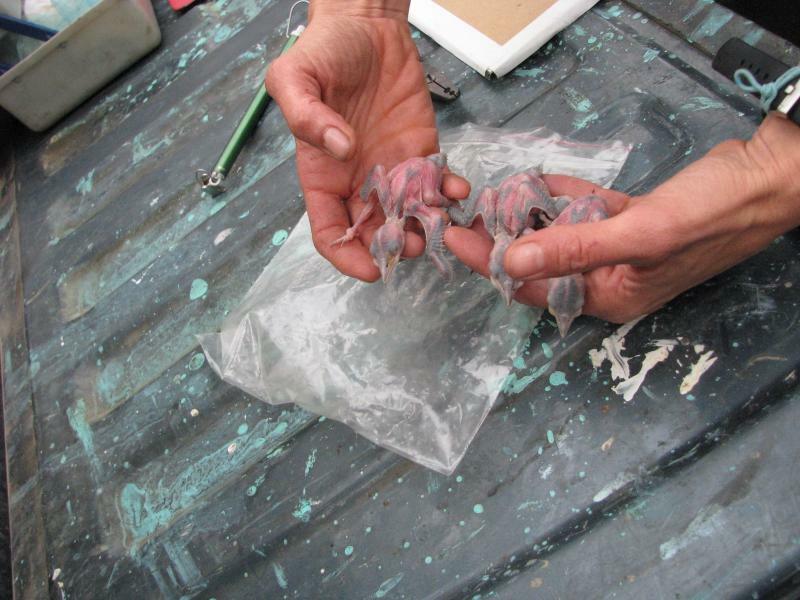 As populations of these smaller mammals dwindle, the effects can be felt up the food chain, as native predators like panthers and alligators lose their primary food sources. Sergeant Major Tom Aycock serves in the Army Active Guard Reserve in Homestead, Florida. As a Swamp Apes mentor, he helped the men as they dug a hole in the side of the levee. After twenty minutes digging, he concluded the snake had escaped into a deeper, inaccessible part of the levee. The men are unfazed and move on, searching diligently for the next possible nest. "The military teaches you endurance, and it teaches you patience," Aycock said. "A lot of times being out here looking for these snakes six, seven hours, and they're not evolving, you have to find a way to dig down deep and say this is the mission." "At least I have something to look for and kill." 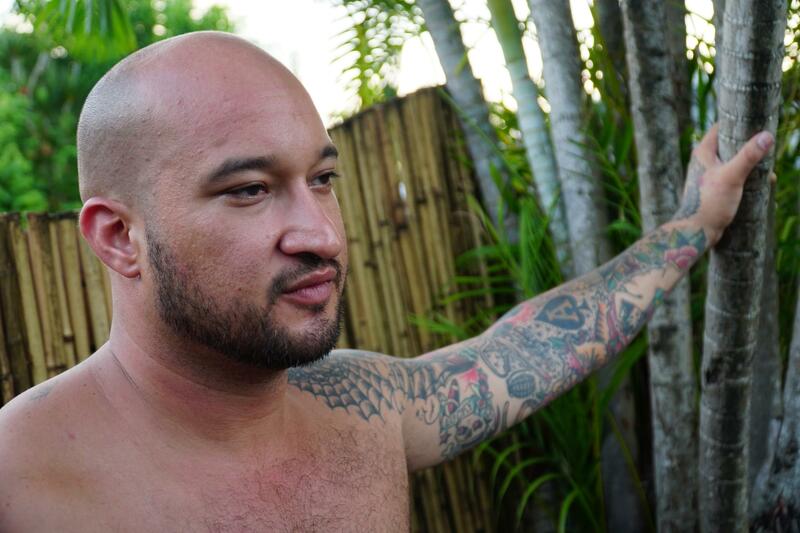 Navy veteran Joe Medina has struggled with PTSD since he left the military. He says hunting for pythons helps channel his energy. One recent recruit to the Swamp Apes is Joe Medina from Miami. He joined the Navy right after high school in 2000, as he says, "for all the right reasons, to serve my country." He wanted an adventurous life story, like Jack Kerouac or Ernest Hemingway. After five years, he left the service and returned to society. He felt alienated, that he didn't fit in any more. "Oftentimes I have difficulty sleeping. I am constantly alert, oftentimes, hyper-vigilant." Medina said. He started working at a Department of Veterans Affairs Hospital, but he found it stressful, and it triggered his PTSD. He said he needed something else to channel his energy. "I really don't want to get into the dead bodies and killing people," he said, "but I will say that hunting for pythons definitely helps. At least I have something to look for and kill." Finally, after twelve hours of looking, they find a huge python ... its head twisting and biting, as they stretch it out and haul it up to the roadway - it turns out to be 15 feet long. That is the adrenaline rush Joe Medina was looking for. "No words could describe the feelings that I had. It was unbelievable to see such a large predator that did not belong in my environment," Medina said. The Swamp Apes have set their sights on cementing the value of wilderness programs in PTSD therapy, and expanding the model to other parts of America. Soon, researchers from the University of South Florida will present their findings on the program’s benefits to the American Public Health Association. Field recording by Niall Macaulay. 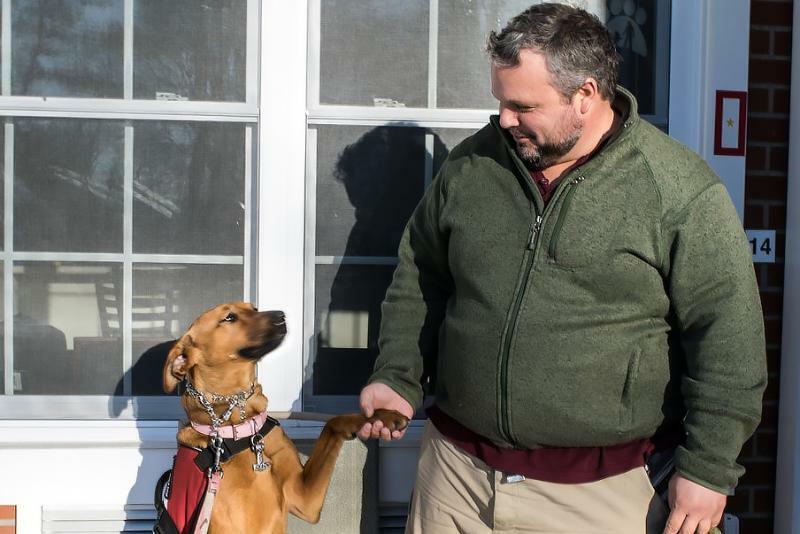 A growing number of veterans are acquiring service dogs to help cope with PTSD. But the VA won’t pay for them and says their effectiveness hasn’t been scientifically proven. 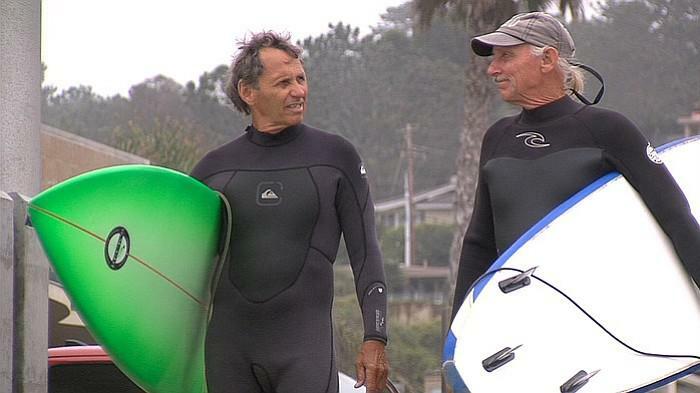 For U.S. troops in Vietnam, the "China Beach" surfing spot provided a rare recreational outlet during the war. Some still seek healing from the waves.